Time: 16.00 hrs. – 18.00 hrs. The world faces serious problems that require global solutions. Climate change is the most obvious, but by no means the only one of these problems. Therefore the ethical imperative to strengthen forms of global governance has not changed. Yet, recent elections have shown that moving ahead with globalization poses the danger of an electoral backlash. In this difficult situation, what should advocates of a global ethical stance do? 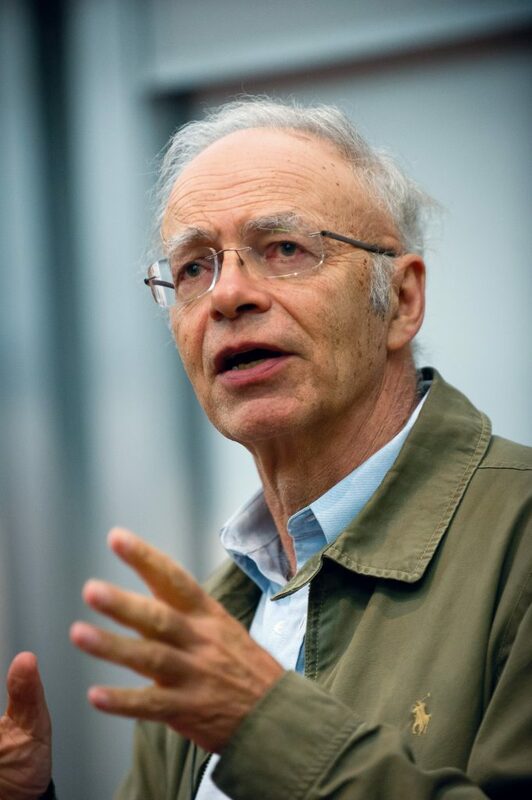 Peter Singer is an Australian moral philosopher. He is the Ira W. DeCamp Professor of Bioethics at Princeton University, and a Laureate Professor at the Centre for Applied Philosophy and Public Ethics at the University of Melbourne. The lecture is organised together with Room for Discussion. The lecture is made possible through the generous support of the John Stuart Mill College of the Vrije Universiteit Amsterdam and the Programme Group Challenges to Democratic Representation of the Department of Political Science, University of Amsterdam. Registration for attendance is not required, seats are limited.